World Series of Fighting 155-pound champion Justin Gaethje (12-0) kept his perfect career record intact by stopping previously undefeated and inspirational lightweight Nick Newell (11-1). That bout served as the headlining bout of Saturday’s “World Series of Fighting 11: Gaethje vs. Newell” event, which took place at Ocean Center. The four-fight main card aired on NBC, a first for the Las Vegas-based promotion. 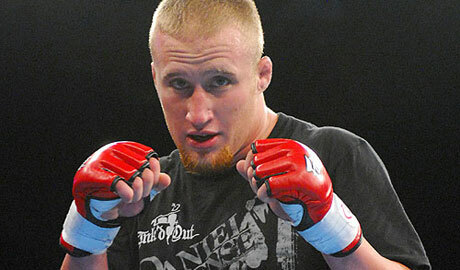 Gaethje defended his WSOF Lightweight title and kept his belt by earning the TKO stoppage at 3:09 of the second round of a scheduled five-round fight. Gaethje and Newell attacked from the opening bell, engaging in a ferocious firefight that entertained the enthusiastic Florida fight fans from the start. Both had moments of success on the feet, but it was Gaethje who began to gain steam as the frame wore on. As the second round started, it was obvious the pace of the opening round had taken its toll on Newell. Meanwhile, Gaethje seemed to be getting stronger, and his pinpoint striking opened up a cut over his opponent’s left eye. The attending physician came in to view the wound, but a gutsy Newell insisted he was capable of continuing. Unfortunately for him, the courage was only rewarded with more strikes from Gaethje, who used a flashy high kick and a series of straight punches to send Newell to the canvas and seal his own successful title defense. In the night’s co-main event, veteran fighters Jon Fitch (26-6-1) and Dennis Hallman (53-14-2) battled in a middleweight attraction with Fitch dominating throughout and earning the unanimous decision win, 30-27 on all three cards. A powerful Fitch low kick swept Hallman to the floor in the early going, and he avoided a few submission attempts from the bottom as he rained down ground-and-pound blows from the top. In the second round, Fitch didn’t bother with the standup game, quickly slamming Hallman to the floor and pounding away with more punches from a dominant position. Hallman briefly threatened with a heel hook, but Fitch rolled through it and continued his assault from the top. Bantamweight Cody Bollinger (16-2) picked up his second World Series of Fighting victory with an impressive first-round stoppage of Pablo Alfonso (9-6). 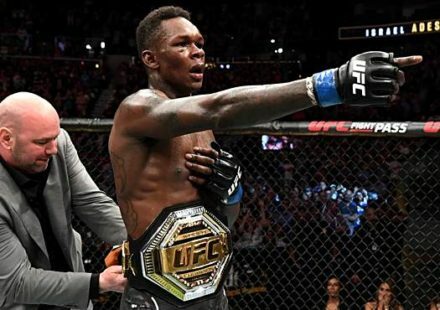 Bollinger was relentless from the start, and when the fight hit the floor, he shifted tirelessly from submission attempt to submission attempt. The non-stop attacks paid off in the form of a rear-naked choke, and Bollinger earned the tap from Alfonso at the 2:37 mark of the first round. 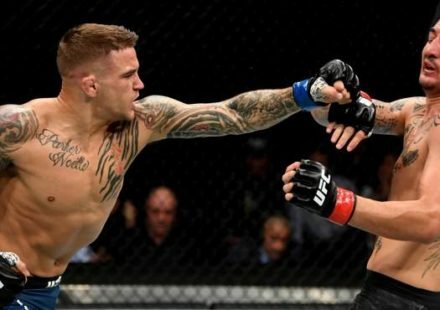 In the card’s first main-card matchup, lightweights Melvin Guillard (32-13-2) and Gesias “JZ” Cavalcante (18-8-1) engaged in an absolute shootout, just as both promised, but it was “The Young Assassin” who proved victorious in the battle of former training partners. 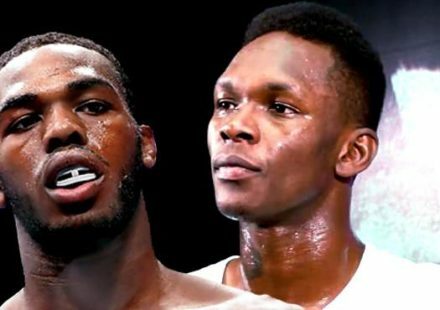 With punches, kicks and knees flying from the opening bell, the fighters marked an impressive launch of World Series of Fighting’s first live broadcast on NBC. Cavalcante tried to take the fight to the floor in the second frame, but Guillard climbed immediately back to his feet and began to unleash fury on the feet. 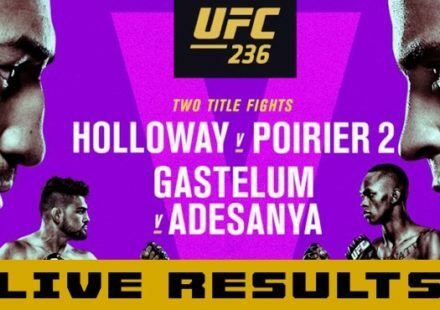 Two straight punches wobbled Cavalcante, and Guillard pounced on his wounded foe with a barrage of punches and elbows that forced referee Telis Assimenios to stop the fight at the 2:36 mark of the second round. “I went out there and had a hell of a debut,” Guillard said after the win. “He even got me on the ground, and I got back up and handled business. In the night’s final preliminary bout, Jake Heun (6-3) returned from a year-long layoff to earn a hard-fought decision win over Kendrick Miree (5-2). While Miree was successful with a few takedown attempts, he wasn’t able to ever truly capitalize on the position. Meanwhile, Heun peppered his opponent with powerful punches on the feet and racked up enough points to take home a decision win, 29-28 on all three judges’ cards. Submission specialist Neiman Gracie (2-0) kept his professional record unblemished, but it certainly didn’t come easy. Dustin Holyko (2-1) floored Gracie with a big left hand in the opening round, but he wasn’t able to finish his opponent, and it would come back to cost him in the second frame. Gracie recovered from the onslaught and brought the fight to the floor in the second round, where he was able to work to the back and scores a tapout by rear-naked choke at 2:21 mark of the frame. In a 175-pound catchweight contest, Jose Caceres (8-5) outpointed Walber Brito de Barros (6-6) over the course of 15 minutes. While de Barros was a game competitor, Caceres was simply the busier fighters in all aspects of the contest and was justly awarded the win with scores of 30-27, 30-27 and 29-28. In the night’s first fight, light heavyweight Muhammed DeReese (2-0) outgrappled Rashaun Spencer (4-7) en route to picking a unanimous decision win with scores of 30-27, 29-28 and 29-28.